CRAZY BIG BLOC PRO Stoppers – Provide Best Stopping and Stability! CRAZY BIG BLOC PRO Stoppers – Best Stopping and Stability! Built Aussie Tough! CRAZY Bounce 100% Rubber Stoppers feature Non-Marking Premium High Rebound Rubber on a standard U.S. threaded post which fits all the most popular plates out there! Specifically designed for Stability and Longevity. Long Lasting and extremely Durable! • BIG BLOC PRO (Red) Features a special Dual Density compound to provide the Best Stopping and Stability! 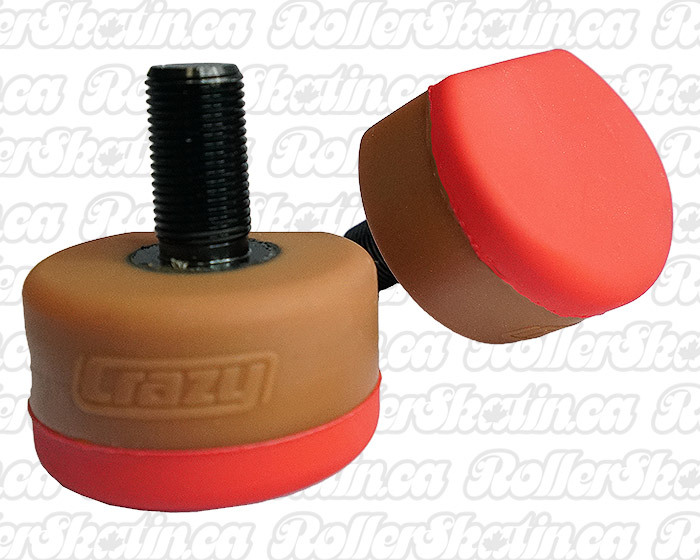 • Check the CRAZY Stoppers Chart to see which CRAZY Stopper is right for you!